Online video is exploding; both in terms of consumer demand and the raft of new and exciting services that are being launched on a regular basis. Market research company Infonetics recently predicted that by 2018, OTT revenues across the globe will surpass $10 billion, making significant headway on 2014’s figure of $5.8 billion – these figures reveal that the OTT market is one of the fastest growing segments in the entire industry. We are in the midst of a period in TV history that will define the industry for the years ahead. Billions of people worldwide watch TV and a massive amount of money is spent every year on traditional broadcast. But we are now seeing a huge influx of new viewer behaviors, with consumers now watching their chosen content across a wide range of screens. The continued rise of services like Netflix and Amazon Prime shows that people are thinking differently about the way that content is delivered – in the face of new challengers, established pay-TV and cable operators are waking up to the opportunities presented by OTT and launching their own standalone services. 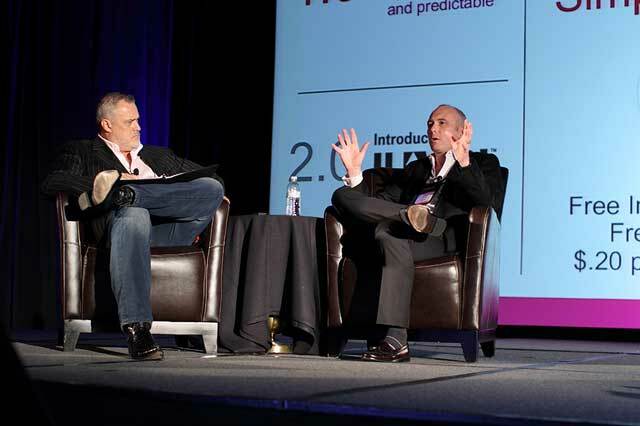 Content owners are taking new approaches in finding new ways to distribute content. OTT is truly changing video delivery, allowing viewers to offer the shows people want to watch, whenever they want to watch them, across all devices. This is particularly true for the delivery of content targeted at a specific audience. Employing a shotgun approach by simply launching your channel on a broadcast network with the hope that it is going to be picked up by your target demographic is inefficient and often ineffective. That’s why we launched C-Suite TV as an on-demand, OTT network. From inception to launch, our goal was to create and deliver business-focused content that would entertain and inform the world’s top executives, giving the inside scoop on what was going on in the boardrooms of the world’s leading organizations and provide insight into the trends that will shape the business world in the years to come. Business leaders who form the ranks of the C-Suite (a term coined to refer to an organization’s top executives like the CEO, CFO or CMO) have incredibly hectic schedules, often working long days or traveling across the globe. This of course can put severe limitations on how and when they can watch TV – C-Suite viewers need to be able to consume their chosen content on the go, and of course, this content needs to be targeted to their specific interests or requirements. Knowing what they want to hear, watch and learn, we were confident that we could create and monetize content that would appeal to this discerning, wealthy, yet exceptionally time-sensitive audience, but we needed a partner who knew the OTT delivery business back to front. We partnered with Piksel, a company with a long history of providing innovative video delivery services to brands and media organizations worldwide. The cloud-based Piksel Video Platform is fundamentally viewer-centric, allowing the user experience to be uniquely tailored to the viewer. What differentiated Piksel was the company’s background in managed services. Once Piksel had built the channel using the Piksel Video Platform as a basis, we were able to leave the management of the back-end in the hands of specialists, allowing us to fully focus on what we do best – that is, the creation of compelling content for an audience which we know well. Piksel’s technology also offered the ability to monetize everything from day one – and as the content creator, we were able to retain 100 percent of the revenue. From a business perspective, this was of course a win-win! But it is also a winning situation for everyone along the chain - C-Suite executives get their desired content at the times that suit them and on the devices they want to watch it on, advertisers get return on their investments, and C-Suite TV becomes a self-sustaining business. I’m confident that we’ll see more bespoke channels launched with an underlying OTT strategy as a basis. It has been a seamless experience, and we’ve enjoyed great success so far – OTT offers the potential for content creators to be pioneers, safe in the knowledge that if their content is compelling enough, it will reach the target audience. In effect, the onus is back on the content creator – success is in your hands! 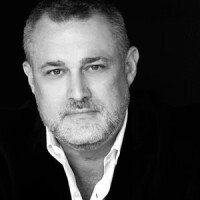 Jeffrey Hayzlett is the Founder of C-Suite TV, and the Contributing Editor and Host of “C-Suite with Jeffrey Hayzlett” on Bloomberg Television. Hayzlett is a global business celebrity, speaker, bestselling author, and Chairman of C-Suite Network, home of the world’s most powerful network of C-Suite leaders. This article was originally published in the December 2014 issue of TV-Bay magazine.